Home eXtreme botany Something botanical for the weekend Madam? Something botanical for the weekend Madam? Dr M is particularly fond of a slug or two of fine Gin at the weekend, and what finer and more appropriate brand could there be for the plant doctor than The Botanist? It has been known for grateful students to purchase a bottle of this finest for Dr M as a token of their appreciation (hint to class of 2014!). No ordinary gin this, but a prize winning spirit from the wind-swept Hebridean island of Islay. With eight working whisky distilleries, Islay is most famed for its amber nectars and the smoky qualities of its single malts, also much favoured by Dr M (tip: discover the exotic, floor-polish aromatics of Ardbeg if you haven’t already done so!). But Dr M is talking Gin here, and The Botanist is a welcome addition to the Islay portfolio. Not to be drowned in tonic for your average G&T this one! 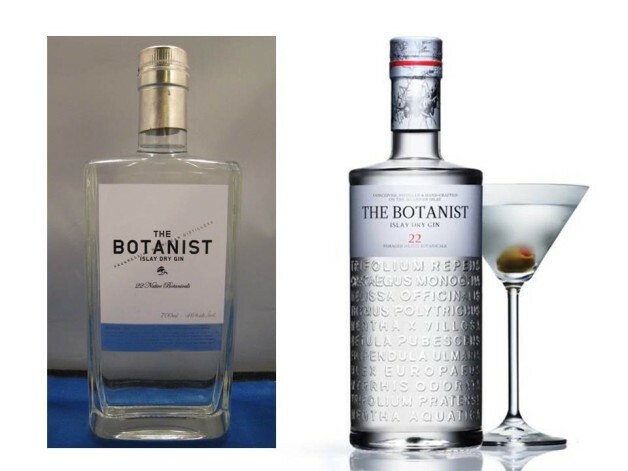 Rather, The Botanist is to be celebrated and savoured chilled and neat in a classic crystal clear Martini! Created with nine of the classic gin aromatics augmented with no fewer than twenty-two “hand foraged” local Islay botanicals, this is the spirit of eXtreme botany for sure! The clean, stylish and straight-forward bottle design is now accompanied by a more elaborate affair which spells out the 22 plus botanicals etched in the glass. The new bottle provides some clues, but while you prepare to indulge in your weekend stiff one, can you guess all nine plus twenty-two botanicals? Have a go then find the answer here.